Hello desk deserters, cubicle celebrators, open space sleeper-inners, corner office carousers, home den holidays and coffee shop sabbaticals. My name is Brock Armstrong and I am… not the Workplace Hero. That’s actually you! You see, the goal of this podcast is to make you into a Workplace Hero. I am merely your travel agent on this glorious adventure. I received an email the other day from listener Erin Moline who said “Topic idea: how to handle the backlog of email/missed conf calls/missed trainings and how to catch up without a cortisol surge?” For those of you who don’t know, Cortisol is the hormone that is often associated with stress and panic. So yeah, a avoiding a surge of that is a really good idea. We are about to celebrate Canada Day here in Canada, which celebrates the anniversary of the July 1, 1867, enactment of the Constitution Act which united the three separate colonies of Canada, Nova Scotia, and New Brunswick into a single Dominion within the British Empire called Canada. Because Canada Day falls on a Saturday, most of us will get Monday off work – giving us a glorious summer time long weekend to revel in what it is to be Canadian… and yes, by that I mean beer. On the Tuesday after that, I bet if you ask a number of folks what they did over the long weekend, some will say that they spent time with family or enjoyed the outdoors. But others will talk about how they used the time to catch up on their work. But if you ask them if they had actually caught up, I can almost guarantee that no one will say “yes”. With the advent of enhanced technology and our 24/7 culture, it is becoming increasingly difficult for employees to ever feel they have all their work done. Today’s work ethic of “more, bigger, faster, busier” creates a trap for many in the global economy. Technology can create efficiencies but it can also overwhelm us and make us feel forever trapped under an enormous pile of busywork. 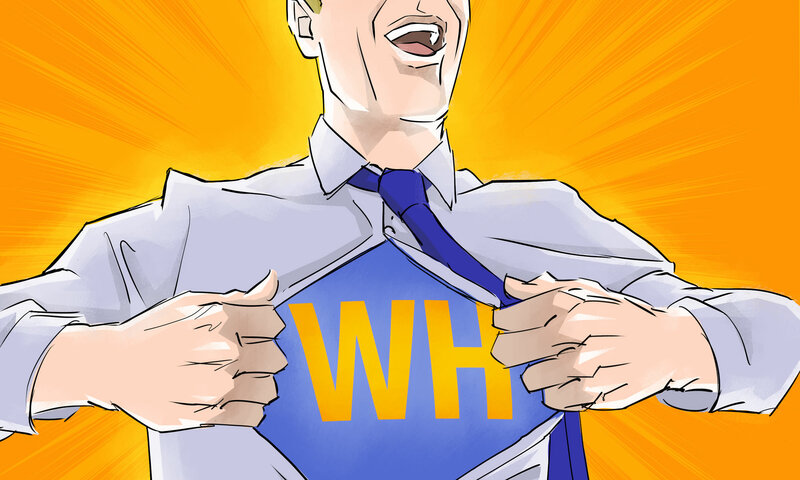 Before we go any further, I want to direct you to workplacehero.me/weightlesswebinar. That’s a program that I am working on with my friend Monica Reinagel (AKA the Nutrition Diva) and over at weightless.me we teach you to stop dieting and start weighing less. Now – if you are hearing this podcast when it first comes out, you are in luck! We are hosting a live webinar on June 24 at 12:00 pm ET where we will share the techniques we use to help our coaching clients to achieve a healthy weight and lifestyle without dieting. And you can sign up for that webinar at workplacehero.me/weightlesswebinar. But even if you missed the webinar, head over to weightless.me to find out more. Ok, now back to some strategies I have used and some that I found in my research that will help you conquer that mountain of work quickly and calmly and also help you reclaim your unused vacation days. 1. Plan ahead. Smart people prepare to take a vacation by planning ahead. This won’t surprise you long time listeners but I like to make a to-do list for all the work projects that need to get done before I leave, and I set up a contact person for any emergencies while I am away. I also make sure to alert all my clients and co-workers that I will be on vacation well ahead of the day. Don’t wait until the day before you leave to spring it on your team. But it is just as important to plan ahead for your return to the office as well. One way to do that, is to build in a vacation day at home. I know that sounds kinda crappy but rather than getting home at 10 p.m. on Sunday night and heading to work bright and early Monday morning, plan on arriving home on Saturday so that you have all day Sunday to buy groceries, wash laundry and get back into your daily routine. You may even want to get a head start on sorting—and more importantly deleting—emails. Giving yourself this transitional day will allow you to tackle your first day back in the office with a little more Zen. 2. Schedule time to catch up on work. The worst thing that you can do is to show up back at work without a plan in place, sit down at your desk as if it’s a normal day and haphazardly start working. Instead you should block out your morning (verbally, on your calendar or even with a sign on your desk) so that you have time to catch up with staff, sort through your inbox, listen to voice mail messages, make a to-do list and respond to urgent work matters. If you don’t block out that time, you will start getting questions and work thrown your way immediately without any way of knowing what is or isn’t a priority. In that same vein, I also wouldn’t schedule meetings the first—or even second day—back in the office. Give yourself time to find out what’s been going down while you were away before closing your eyes and jumping back in head first – eyes closed, head first, can’t lose! 3. Delegate job duties to coworkers and employees. One way to avoid coming back to a crap-tonne of work after a vacation is to empower your employees and delegate some of your responsibilities to co-workers. I seriously don’t know why people avoid delegating work while they are away. I guess it could be that they want the job security of being viewed as irreplaceable so they don’t want anyone else learning and doing their job. Or maybe they have a Type A personality and just don’t want to (or can’t seem to) give up control. Whatever the reason, they are not helping themselves by refusing to delegate work. Think about it. You can come back from vacation and have only 10 items on your to-do list instead of 20 or 30. That will make a huge difference in how quickly you get caught up. No one is suggesting you delegate your entire job or pass off sensitive business matters (plus who else in the office has time for that crap). Instead just choose a few straightforward duties that don’t require your specific set of skills – ala Liam Neeson. 4. Check in with co-workers. Before heading straight to your desk to check your email (I know that is the first thing you will do), try to check in with your colleagues first. Take 10 minutes to find out what has happened while you were away and if there is anything pressing that needs your attention. This will save you time and help you be more efficient. Rather than reading every email to figure out what priorities you should focus on, you will already know what needs your attention and can address those issues right away. 5. Focus on priorities. Not every email in your inbox is a priority or even needs a response. Make sure that you sort and prioritize your emails. Here is a little tip – don’t go down the list answering every email starting with the oldest. Many of those emails will have a bunch of cc-ed individuals on them and the chances are (since you told everyone you were going to be on vacation) that someone has stepped up and handled the task which renders that email thread closed. Start from the newest and work your way back. That way you will prioritize the stuff that is actually waiting for you not the stuff that has already been handled. Also, in terms of prioritizing, focussing on your work projects is crucial, as well. Make a to-do list for your first week back. Focus first on what needs to be done immediately, not so immediately, eventually and simply go down the list. By the end of the week you will be back on track, all caught up and ready to enjoy your weekend. 6. Your out-of-office response is your first line of defense–wield it to your advantage. Your out-of -office autoreply needs to be straightforward, helpful, and honest–but not that honest. I also recommend leaving it up through your catch up period; your coworkers will know you’re available but it will help stem the tidal wave of outside inquiries, or at least lower the expectation of an immediate response. An out-of-office message directed at external parties should include directions for who to contact according to contingencies. Assess who’s going to be emailing you along two or three broad categories and let them know who to reach out to instead or when they might expect a response. 7. Feeling especially brave? Skip wading through email at all and nuke your inbox. I know, the very thought of losing the contents of your inbox likely sends a chill down your spine, but I argue that a post-vacation email purge can be just the thing you need to get back on track without losing an entire day to email maintenance. If your out of office reply was effective enough, the people who actually still need your or are waiting for a reply will try again AFTER the date you indicated that you would be back. So you don’t have to worry that anything will go unfinished since you have placed the onus on them to contact you when you are not on a beach sipping a margarita. 8. You should try to be indispensable — but realizing that you’re not, might make you a better employee. Planning for and returning from a vacation can be a good time for an adjustment of your professional outlook on work and life. We’re all striving to be the go-to team member, but believing the company actually can’t function without us can not only be incorrect but it is also foolish and potentially a huge source of stress in your life. A friend of mine describes a five-day vacation she once took where she believed WiFi would be readily available and discovered it was not. At that point she realized her only option was to change her outlook on needing to be connected and as the songs says: let it go. In the end she missed a few things, but she just apologized to a few people when she got back and they were honestly more interested in hearing about this amazing and magical destination that has no wifi than they were in giving her a haranguing. Now, your homework! With Canada Day and Independence Day both coming up soon, even though it is merely a long weekend and not a glorious vacation, it is still the perfect time to get your feet wet and put at least some of these suggestions into practice. Perhaps you spend some time crafting your Out Of Office reply or you make sure you have a plan for how you are going to tackle your work when you get back. Or perhaps you can spend the weekend steeling yourself for that moment when you nuke your inbox! Whichever tactic you choose, plan it out and make sure you are ready to wrangle your time and not let this short break turn into a source of stress. Then, when it is time to really take a vacation, you will feel less intimidated and more in control. Remember: learn to plan ahead, rely on your coworkers, and understand that sometimes, it’s inevitable that you’ll miss out on a last-minute request – but by taking a real vacation, you will much more productive when you return. Now, go make this long weekend count.